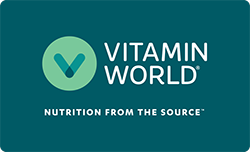 Home | Sale | Buy One Get One | Select Vitamin World and Precision Engineered | Vitamin C 1000 mg.
Vitamin C promotes immune function** as well as antioxidant support**. In this unique Vitamin C supplement are 1000mg of vitamin C in each caplet serving. This formula comes specially formulated with 25mg of Bioflavonoids and 20mg of Wild Rose Hips. Other Ingredients: Vegetable Cellulose, Glyerin. Contains <2% of: Silica, Vegetable Magnesium Stearate.